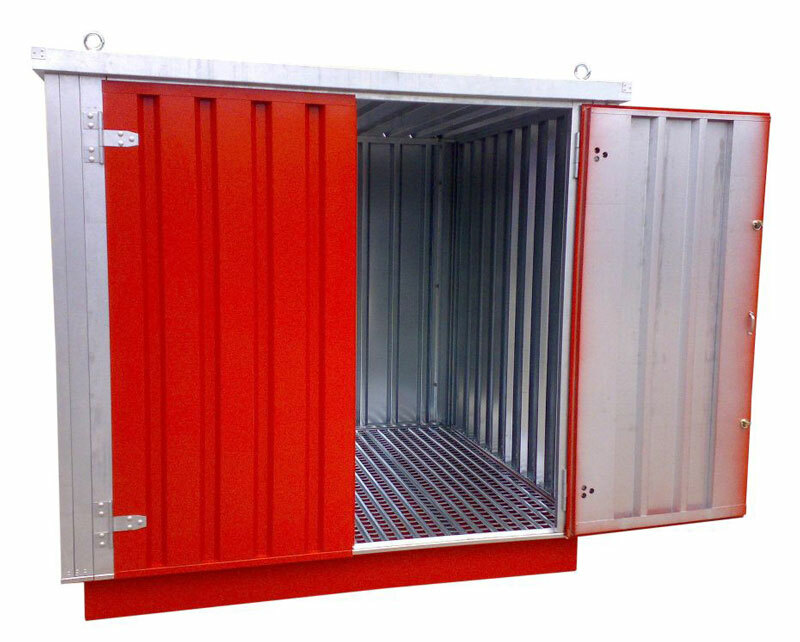 Flat-Pack Chemical Stores/Containers (Expandachem) are designed especially for the safe storage of hazardous materials, featuring double doors for easy access, a sumped base for contained spillage and a suspended steel grated floor. Great for sitting in locations with limited access, it is light enough to be manhandled and the components are small enough to fit through small passageways. No need for cranes, forklifts or specialist tools. Just a socket set - and you're away!